Following reports of a government investigation and another battery fire at one of its stores, there was some welcome good news for Apple last week: it overtook Samsung in the global smartphone market, and Apple Music is now on track to dethrone Spotify as the top streaming service in the US. 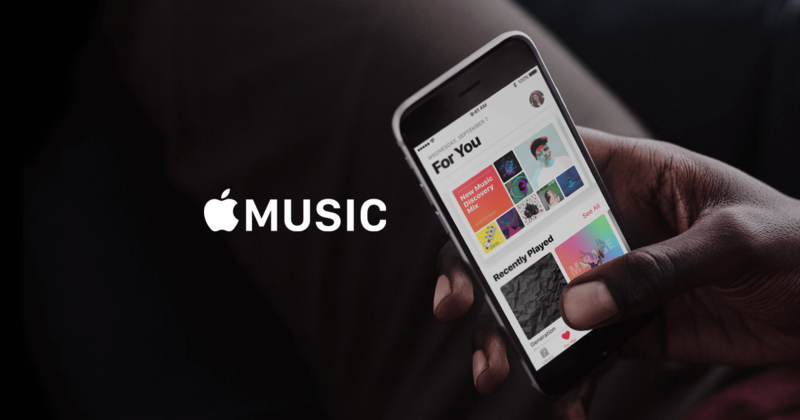 According to the Wall Street Journal, which cites two music industry figures, Apple Music is growing faster than Spotify in the United States. The iPhone maker’s service is adding subscribers at a rate of 5 percent per month, whereas its Swedish rival’s monthly growth rate is closer to 2 percent. Assuming these figures are accurate and stay the same, Apple will overtake Spotify in the largest market for music streaming this summer. The Journal reports that Apple Music has “three to four” times more trial subscribers than Spotify, mostly because it doesn’t have a free, ad-supported tier like its competitor. All Apple Music users are initially entered into the free three-month trial period. These users aren't included in the subscriber numbers, so its true growth rate could be even higher than reported. Globally, however, Apple is still a long way behind Spotify, which is planning an IPO later this year. Apple Music has 36 million subscribers around the world. An impressive figure, but it’s just over half of Spotify’s 70 million paid-subscribers. Apple Music had its US launch back in mid-2015, four years after Spotify arrived in the country. But as Apple's service comes pre-installed on its devices, which are very popular in the US, and offers original and exclusive content, it hasn’t taken too long for Apple Music to catch up to the industry leader. The upcoming HomePod smart speaker, which only supports Apple Music, will likely help increase the number of subscribers.